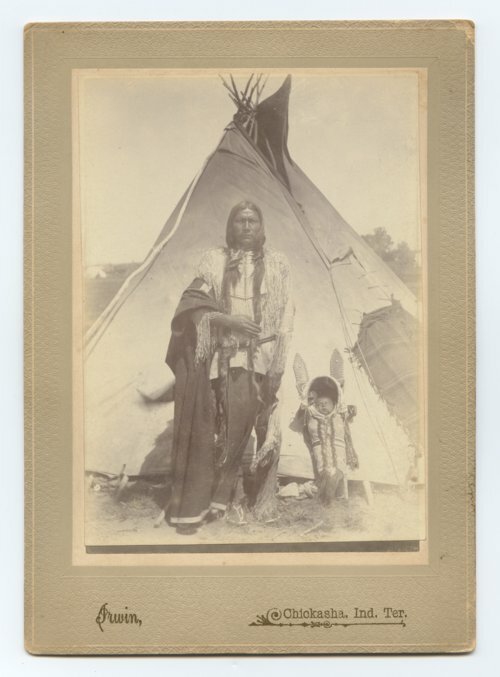 This is a cabinet card showing a Kiowa man and infant in front of a tipi. The baby is in a child carrier. The photographer was from Chickasha, Indian Territory.